by bombarding lead with chromium ions. by bombarding californium with oxygen ions. that lasted more than a second. 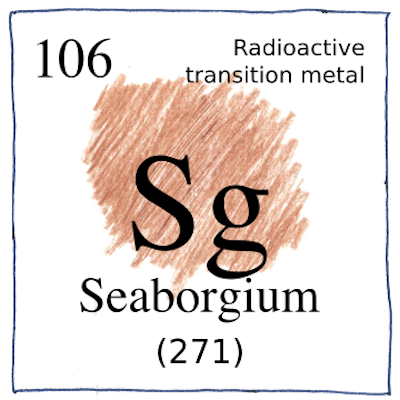 so they got to name it after Glenn T. Seaborg. are only predicted or estimated. We had a name for it before we saw its face. Not Baby number 106. Its mother was not present at the birth. Not John Doe 106. No need to protect its identity. to let it be named after a person who was still living. Whatchamacallit? Element 106. Hey you! Is the distinction between the identity and the identifier blurred when we complain about identify theft, or is one’s identity in the modern world too much invested in intangibles?